Continental... and contemporary. Sleek lines and elegant styling can be found in each piece of this flatware set. The knife is particularly eye-catching, with a straight edge giving way to a crescent-shaped blade. 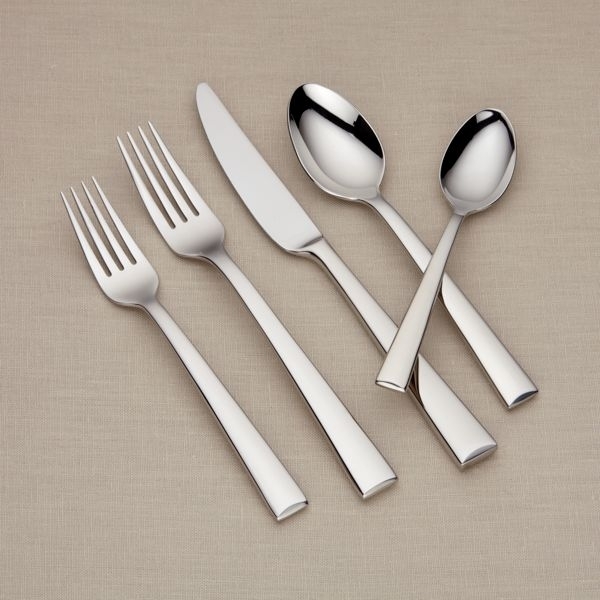 Designed to complement Continental Dining dinnerware, this service can be used with any china and crystal patterns.